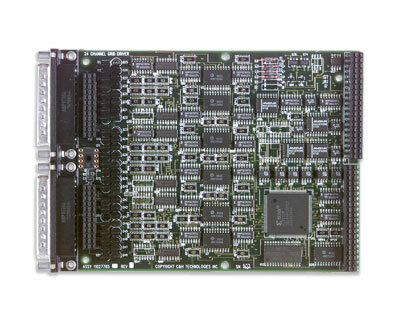 Capable of sequentially driving the 24 channels at levels up to 150V. The module monitors and records, on-the-fly, the high and low voltage levels and the currents being drawn by the high and low drivers. This information is recorded into on board memory. Alarm limits may be preprogrammed for any of these values to facilitate interrupts for safety shut-downs. Synchronization of multiple modules is possible.